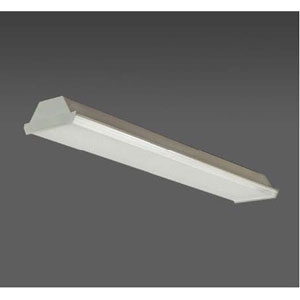 Specification-grade wrap around is available in 4’ and 8’ lengths, 1 and 2 lamp configurations in T5 ,T8 and LED.
. 8-3/8” wide housing gives greater light distribution than its narrow counterparts. The versatility of this contemporary-styled unit makes it ideal for classrooms, offices, corridors, laboratories, and any application where high efficiency, task appropriate illumination is essential. For individual or continuous row mounting. 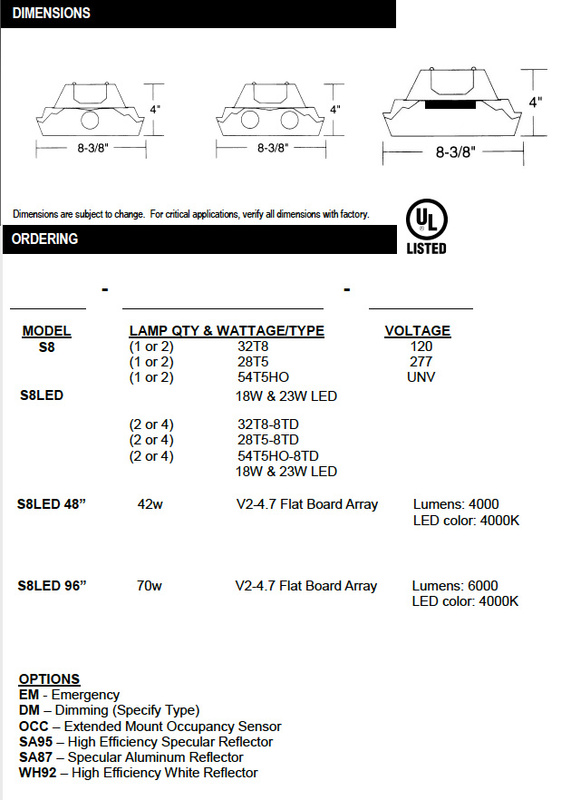 Sufficient knockouts for surface or pendant mounting. Die-formed, heavy-gauge steel unitized into one piece. 100% clear acrylic prismatic bottom with linear side prisms. All parts finished with high-gloss, baked white enamel with minimum 89% reflectance applied over iron phosphate pretreatment for maximum adhesion and rust resistance.